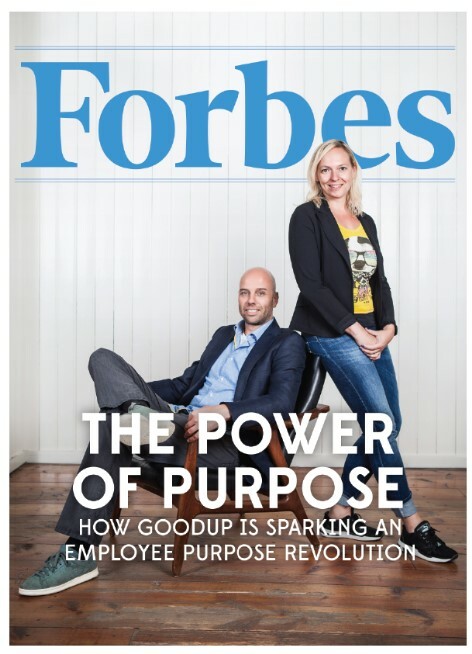 With major clients like Unilever, Deloitte, Accenture, and Booking.com, Amsterdam-based GoodUp is pioneering a new approach to helping unleash the power of purpose in the corporate world. Forbes caught up with Founder and CEO Bart Lacroix to find out more. Afdhel Aziz: Bart, please tell us about GoodUp and how it started? Bart Lacroix: GoodUp delivers a purpose engagement platform. Our software empowers employees and other stakeholders to work together on awesome projects that contribute to their personal purpose. Together, they fulfil our customer’s corporate purpose. We are piggybacking on an unprecedented commitment to purpose that corporates show. They are realizing what a growing body of research is proving: that businesses with a strong culture of purpose are top performers in terms of employee engagement, customer loyalty, and financial rankings. As a result, successfully translating purpose-into-action is not replacing but rather boosting performance and profitability. Our customers are very successful in implementing our expertise based, bottom-up approach to purpose project initiation. That’s how we got where we are now. Hey Buddy!, I found this information for you: "Interview in Forbes with founders Dutch-based GoodUp". Here is the website link: https://www.duurzaam-ondernemen.nl/interview-in-forbes-with-founders-dutch-based-goodup/. Thank you.